America’s humor tradition is as complex and cacophonous as the culture that produces it. This brand-new volume blends Yiddish inflections with African-American cadences, dry WASP-ish wit with girlish giggles, proving that comedy may be the truest democracy of all, suffering no pretense and kowtowing to no authority. 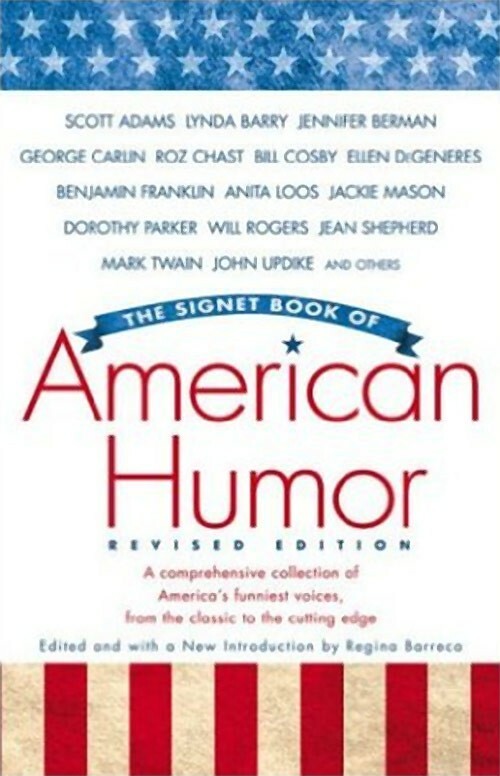 A comprehensive collection of America’s funniest voices, from classic writers to contemporary comics. Includes such stellar contributors as Scott Adams, Dave Barry, Woody Allen, Ellen DeGeneres, Langston Hughes, Cathy Guisewite, Molly Ivins, Garrison Keillor, Jean Shepherd, John Updike, NtozakeShange, Lynda Barry, Mel Brooks, Carl Reiner, and many more.